Struggle and pain are a part of every real true artist's life. The golden age of Hollywood produced plenty of stars, as well as a good amount of struggle and suffering. However, true artists were relatively rare. Most would agree that Spencer Tracy was one of Hollywood's great artists. Born in Milwaukee during the first year of the Twentieth century, Spencer was a difficult and easily bored child. The early years of his education barely held his attention. Referring to his time under the tutelage of the Dominican nuns, he said "I never would have gone back to school if there had been any other way of learning to read the subtitles in the movies." Itching for adventure and a chance to see the world, Tracy enlisted in the Navy when he turned 18. However, the First World War came to an end while he was still in training and he never made it to sea. The only adventure he saw was at the Great Lakes Training Center and the Norfolk Naval Yard before being discharged in 1919. Tracy's dad was anxious to see at least one of his sons in college, so Spencer went back to get his high school diploma and eventually entered Ripon College in 1921, intending to study medicine. Spencer was popular with his fellow students, and was successful on the college debate team and joined in campus dramatic productions. While touring with the debate team he auditioned for the American Academy of Dramatic Arts (AADA) in New York City. Spencer's Dad thought acting "sounded like a silly idea", but agreed to fund the first semester. Tracy threw himself into his dramatic studies. He wanted to learn as much as he could as soon as he could because he never knew when he would have to leave school. After graduating, he joined a stock touring company, where he met and fell in love with an established actress, Louise Treadwell. After working together in several roles for several months, the couple eventually married in September of 1923. Almost exactly nine months later, Louise presented Spencer with a son, John Tracy. When John was ten months old, Louise discovered that the child was completely deaf. She hid the condition from her husband for three months, but she also withdrew from Spencer emotionally, sensing that her stricken child would need her full attention. Despite the partial estrangement from his wife, Spencer's career began to take off. George M. Cohan, the most important name in American theater at the time, told him "Tracy, you're the best goddamned actor I've ever seen!" Tracy opened in Cohan's Broadway hit Baby Cyclone in 1927, which led to other roles. John Ford put him in the lead role of his 1930 prison film, Up the River, which was also the film debut of another actor known for playing tough guys on the stage, Humphrey Bogart. With a family to support, Tracy grabbed at the opportunity when Fox offered him a contract and moved his family to California. Despite Spencer's obvious talent and critical acclaim, few of his pictures at Fox did well at the box office. Still a virtual unknown in 1932, he considered leaving fox but a raise to $1500 enticed him to stay with the studio. Tracy made 25 films in his five years with Fox, most of which lost money. Although Tracy claims he was fired, the reasons for his parting with Fox are unclear from the studio's records. When MGM expressed an interest in a new leading man, the contract with Fox Film Corporation was terminated by “mutual consent”. Spencer Tracy was an alcoholic. Unlike the typical alcoholics who seem to need a drink to function, those closest to Tracy commented that he could go days, weeks, even years without needing a drink. He was, however, a binge drinker. A single drink seemed to affect his brain and he would start on a bender that could last days or weeks. He was arrested for his behavior while intoxicated on more than one occasion. Tracy's second film with MGM, Captain's Courageous (1937) was one of the year's big hits, and Tracy took home the Oscar for Best Actor. In 1938, he played Father Flanagan in Boy's Town. Between his desire to give a good portrayal of Flanagan and the obligation he felt representing the Catholic Church, Tracy put everything into the role, and won the Best Actor statuette for the second year in a row (although he won the Oscar, Tracy said he could not really accept it, and immediately sent the statuette to the real Father Flanagan). In 1941, Tracy signed a new contract with MGM for $5000 per week and limiting him to only three pictures a year. Along with the reduced workload, the contract stipulated that he would always be billed as a star, but contrary to popular belief did not specify top billing. Katherine Hepburn was making a comeback from the label of “box office poison” after a series of lackluster films. She had wanted Tracy for her vehicle The Philadelphia Story (1940) but he was not available for the project. He was free to costar in Woman of the Year (1942). 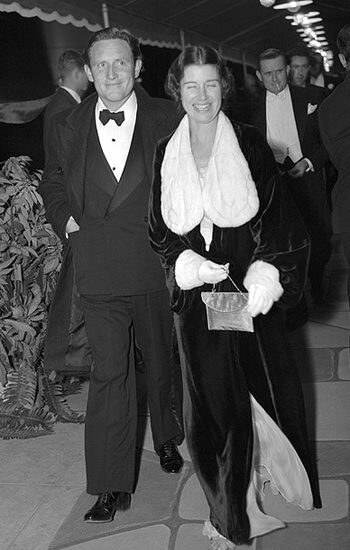 At their first meeting, Hepburn, who was wearing high heels, said “I'm afraid I am a little tall for you Mr. Tracy”. Producer Joseph L. Mankiewicz said “Don't worry, Kate, he'll cut you down to size”. Woman of the Year was the first of nine films Hepburn and Tracy would make together, and also began a romance that would last for the remainder of Spencer's life. 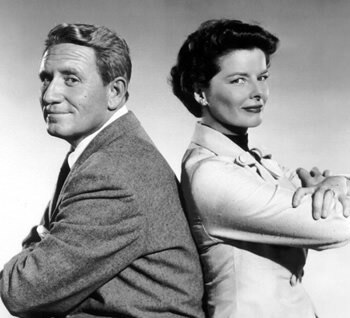 As scandalous as the open secret of a relationship between a married Spencer Tracy and a liberated Katherine Hepburn could have been, the Hollywood gossip machinery turned a blind eye. Tracy's Catholic background and the obligation he felt for his deaf son kept him from seeking a divorce from Louise Treadwell. For her part, Hepburn never sought marriage, and although committed to Tracy, seems to have valued her independence. On the radio, most of Tracy's appearances were in support of his film work, either on studio sponsored preview programs like Good News or Leo is On the Air, or in adaptations for Lux Radio Theater or Screen Guild Theater. Spencer Tracy did answer the call to host Command Performance. 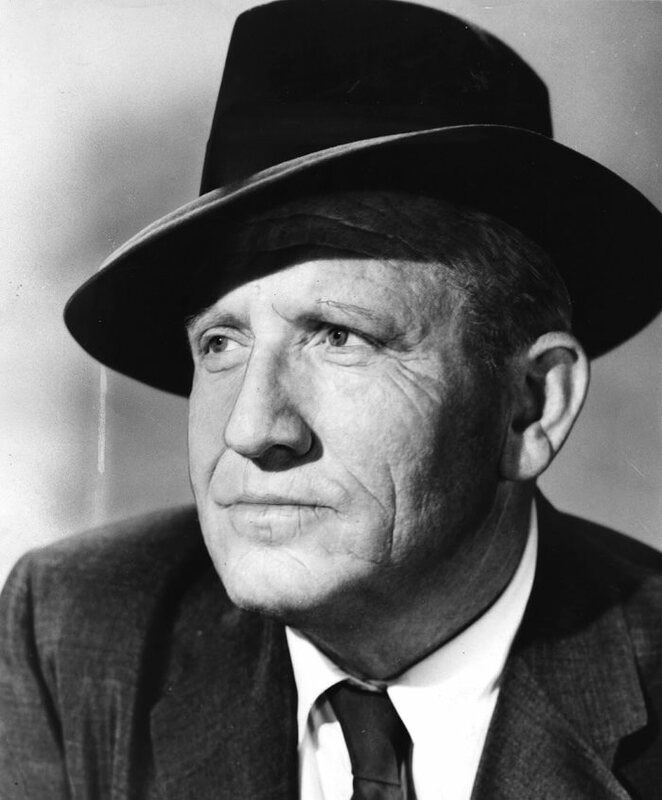 Adaptations of Spencer Tracy films include Five Star Final, Man's Castle, They Gave Him a Gun, Captain's Courageous, Arrowsmith, Libeled Lady, Men in White, Woman of the Year and others. 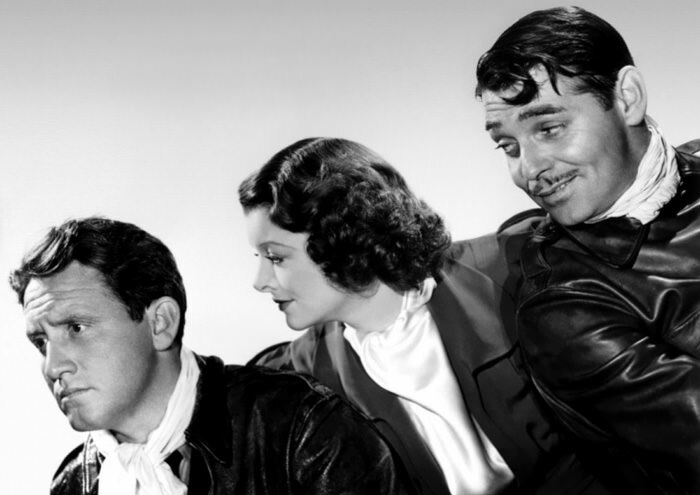 Tracy's last film was Guess Who's Coming to Dinner, costarring Katharine Hepburn. Tracy plays a liberal newspaper editor whose beliefs are challenged when his own daughter wants to marry a black man. Because of his failing health, Spencer was only able to work two or three hours a day. He completed his last scene on May 24, 1967. Tracy had spent most of the last two years of his life living quietly at home with Katherine. Just 17 days after he finished filming Guess Who's Coming to Dinner, he walked to the kitchen to fix a cup of tea. As Katherine got up to follow him she, heard him drop the cup and collapse, dead of a heart attack. The studio reported that his body had been found by his housekeeper. Spencer Tracy was given an all star Hollywood funeral. Katherine Hepburn followed the hearse to the church in her car, but did not attend the service out of consideration for Tracy's family. A star on the Hollywood Walk of Fame honors Spencer Tracy's for his work in the Motion Picture Industry at 6814 Hollywood Blvd. Be the first to comment on "Spencer Tracy"